As we wind down the first half of the Virginia Orthopaedic Society (VOS) cycle, I am pleased and impressed with our activities on both the academic and political fronts. Brad Butkovitch and the 2016 planning committee have developed a superb meeting agenda. Cal Whitehead and select members of our society have worked diligently in advance of the upcoming General Assembly session. 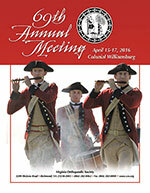 You will receive a reminder about the 2016 Annual Meeting in Williamsburg on April 15-17. Thanks go out to Brad for securing our invited guest speaker - the nationally and internationally recognized Sports Medicine expert Dr. James Andrews. Brad has put together a program that covers a broad spectrum of “core” orthopaedic topics, select business presentations, and lectures complimenting Dr. Andrews’ presentation. We have expanded our CME opportunities and video poster presentations, and will present a parallel program for ACP education, so this should present a superb CME “bang for the buck” to our members and their practices. Please block your (and your ACPs) schedules to attend. Furthermore, we were fortunate to have a record number of abstract submissions in 2014. There will be abstract presentation time both Saturday and Sunday. Submit early for both abstract and poster consideration – we hope to top last year. Two Legislative Topics - COPN and Workers' Comp. As you may know, Virginia is one of 36 states with COPN requirements impacting the “business” of medicine and access to care. Both the Justice Department and the Federal Trade Commission have condemned COPN regulations. The VOS has made its position supporting reform of the current Virginia COPN process well known. Dr. Abbott Byrd from Atlantic Orthopaedic Specialists and Lauren Schmitt were our representatives in testimony and viewpoint on the COPN system. 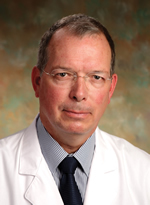 Dr. Steve Leibovic has been our representative in the WC arena. As you may know, despite low cost and superb outcomes in our care of WC patients, we are under pressure to “improve” our costs. It is clear that a compensation model based on prevailing community rates will be the target in discussions. Our goal is to have a model that truly represents the spectrum of care and complexity involved in the care of this patient subset. Please support our voice in the political process and plan on attending this year’s meeting.